From cylindrical tubes to portable music players, sound recording and playback has a long story. Since the invention of language, there’s been a consistent need to record human expression. Why wouldn’t there be? Once we had mastered communication, it is only natural that the human mind desired to preserve its thoughts, memories and experiences in ways that could, at the very least, outlast human memory. The first step in this direction was the written word, and that was pretty much it for almost the entirety of known human history. It is only in the 1800s that we started making progress towards preserving sound. Today, digital files smaller than a photograph can play an orchestra right into your ears. How did we get from scratching lines onto a tube to this? To peg the beginning of our efforts to record sound, we have to go as far back as the 1850s. The phonautograph was patented in 1857 by Parisian inventor Édouard-Léon Scott de Martinville. The recorded form was never intended for playback – a stylus would mark sound-wave modulated lines on a coating of soot on white paper as the paper passed underneath, based on vibrations generated by a sound wave. 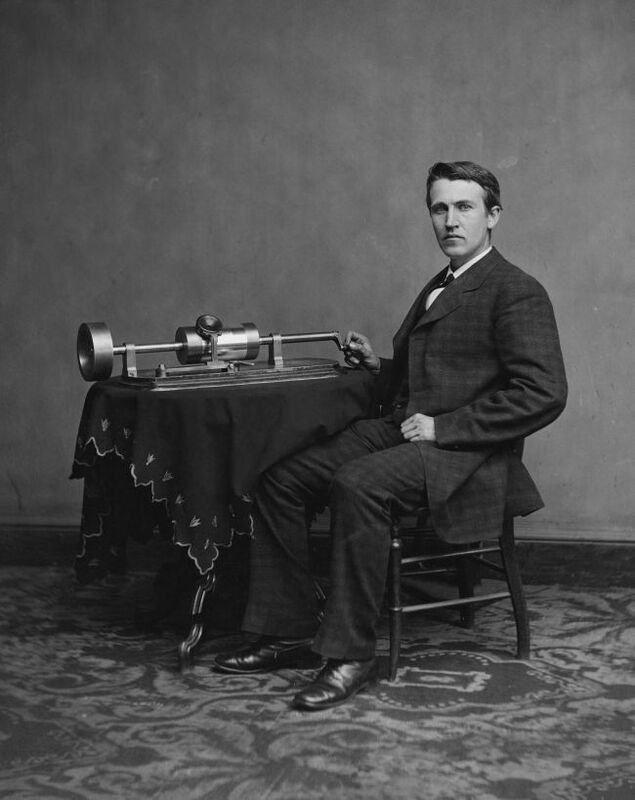 The first practical device for recording and playback of sound was invented by the man of a thousand patents, Thomas Edison. His invention, the phonograph, consisted of a cylinder with a tinfoil wrapped around it, and a stylus connected to a diaphragm. The cylinder would move laterally when a handle was turned, etching onto the tinfoil the approximate pattern of vibrations created by the pressure of the sound waves hitting the diaphragm. Playback was just the opposite – rotating the cylinder the opposite way would vibrate the diaphragm generating the sound again. In theory, this was a highly practical idea, but practically, the recordings were barely audible. Improvements over the next decade incorporated a hard wax cylinder for greater accuracy. However, the next major jump in this technology came to be as a way of avoiding conflict with Edison’s patent. 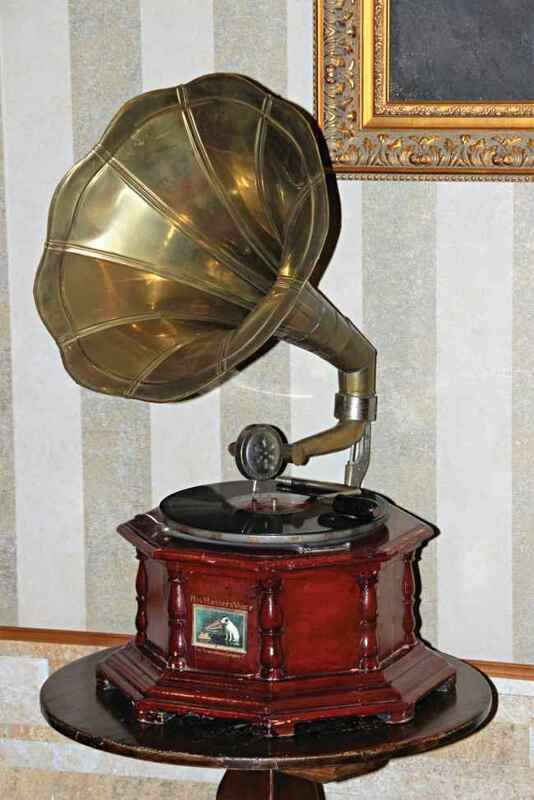 Between 1887 and 1893, Emile Berliner came up with the flat record and the gramophone. Contrary to Edison’s cylinder, Berliner’s recording medium was a flat disc coated with lampblack. A thin stylus moved laterally (instead of vertically as in Edison’s design) etching a pattern based on the pressure created by a vibrating diaphragm. After the etching was done, the disc was given an acid bath to etch the grooves into it and was ready for playback. Berliner soon realised that instead of etching, using an electroplating technique to create ridges instead of the groove would create a stamper that could be used for mass production in a steam heated process. Replacing the acid etching system with wax also improved fidelity and pushed records and gramophones to the masses. As compared to the cylinders, discs were more than just a patent alternative. Marginally louder than cylinders, discs also allowed recording on both sides of the surface. Consequentially, sales of discs had overtaken cylinders by 1910 and by the time the First World War was over, discs had completely taken over the market. Various formats and materials were tried out to improve the durability and bring down the cost. Eventually, vinyl records with a diamond stylus became the standard. A new era of sound recording was ushered in when electricity entered the fray. Even though the main recording mechanism was still mechanical for a long time to come, electronic microphones, amplifiers, and electromechanical recorders seeped into almost all major US record labels by the 1950s. This widened the recordable range to a much wider 60 Hz to 6000 Hz and allowed singers to explore higher frequencies. 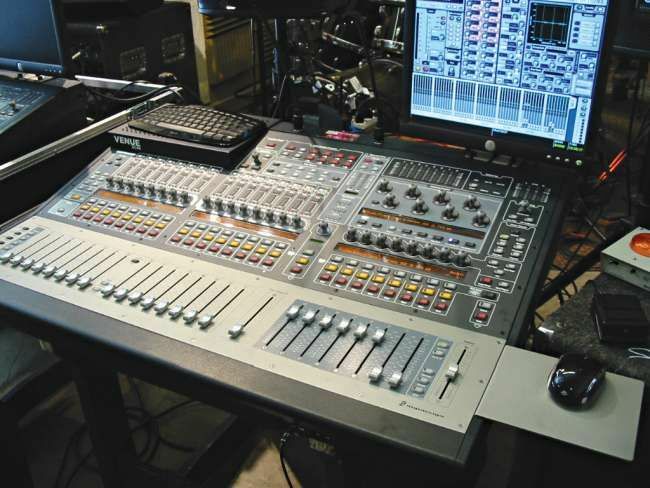 It also gave rise to a very important profession – the sound engineer. A sound engineer could now capture sound in incredible detail and balance using multiple microphones connected to multi-channel amplifiers. The availability of amplifiers also allowed previously weaker instruments like the guitar to gain equal prominence in music as compared to more powerful instruments like wind and horn instruments. Another major advancement of this era was sound-on-film technology. Audio waves to be recorded were used to modulate a light source that would be photographed to record the width and density of a “soundtrack”. This also gave rise to the ability to ‘multi-track’ where multiple separate recordings are played together to generate a composite sound. After electrical recordings, perhaps the biggest transformation came about to audio recording through magnetic tapes. Wire recording technology had been around for a while but it was magnetic tapes that made the introduction of magnetism into recording technology practical and improved the signal to noise ratio greatly. This is the technology that went into cassette tapes that were all the rage up until the advent of CDs. A tape consists of an oxide side that can be magnetically manipulated using a tape head. The substrate on the other side is simply used for strength. An adhesive bonds the two sides together. Invented around 1928 in Germany, magnetic tapes didn’t reach the rest of the world until the end of World War II. The tape head, initially needle-shaped, was later changed to a ring-shaped design around 1933 to avoid shredding. The technique of AC biasing also improved sound fidelity for magnetic tapes. 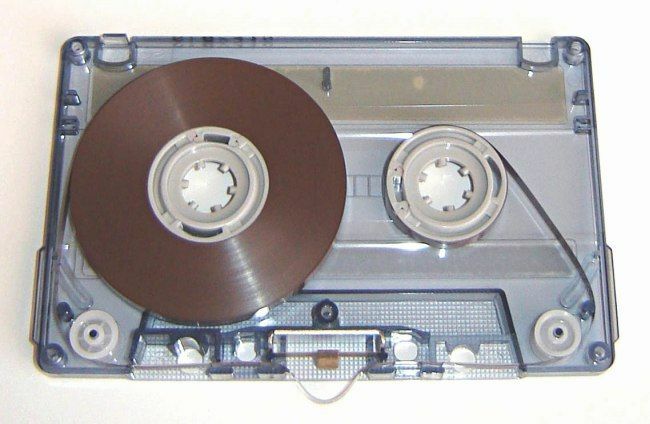 A magnetic tape cassette works on the principle of electromagnetism. The tape head has a coil wound around it with gaps. A current passing through this coil aligns the magnetic material on the tape according to the sound that needs to be recorded. Playback comprises of the opposite action, where the magnetic material influences the signal flowing through the coil and these fluctuations are used to generate the sound. The first popular digitally recorded music album was released in 1979. Digital audio technology was the first advancement that did not record a complete analogue of the audio to be recorded. Instead, it recorded a stream of digital samples. Quite soon, Sony along with Philips introduced the Compact Disc. A vast improvement in size and storage capacity, the compact disc replaced almost all pre-existing recording mediums. However, even its dominance was short lived. With the advent of highly efficient compression algorithms and compact audio formats like Mp3 and wav, an entirely new category of devices was born, one that could store an immense quantity of audio, fit into your pocket and not cost you a bomb – the portable music player that we know today.